How psychopathy, narcissism, and Machiavellianism influence con artists and lawyers alike. The traits that make con artists—and stockbrokers and lawyers—tick. Was he a high Mach? 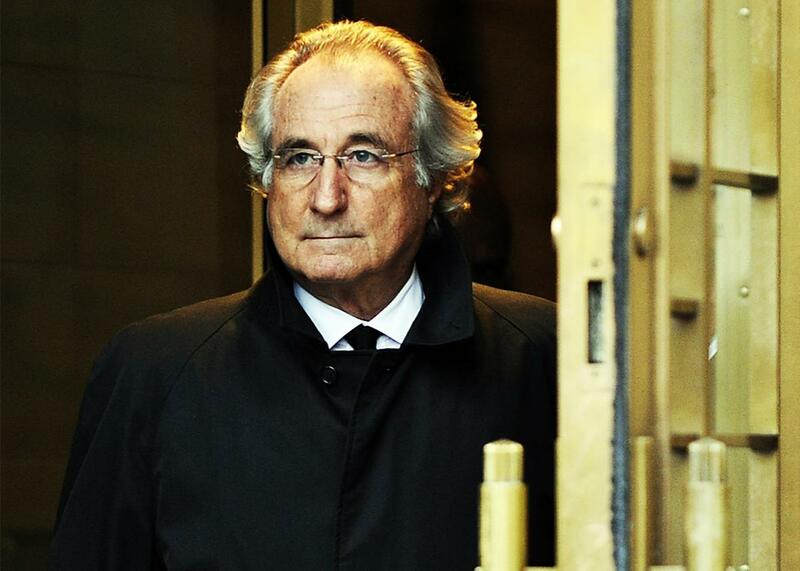 Bernard Madoff after a hearing, Jan. 14, 2009, in New York. Excerpted from The Confidence Game: Why We Fall for It … Every Time by Maria Konnikova. Out now from Viking. Here’s a question most anyone who learns I am researching confidence artists asks me: Are con artists clinical psychopaths—or are they just slightly more devious versions of our more conniving selves? Is it a qualitative difference between our small daily deceptions and the wiles of the confidence man, or is it just a simple matter of degree? or “suffering soul,” for the many such you leave in your wake. One of the defining marks of the psychopath is the inability to process emotion like other people. To a true psychopath, your suffering means nothing. There’s no empathy. There’s no remorse. There’s no guilt. When psychopaths experience something that would shock most people—disturbing images, for instance—their pulse stays steady, their sweat glands normal, their heart rates low. In one study of clinical psychopathy, psychopaths failed to engage the same emotional areas as nonpsychopaths when making difficult moral decisions—for instance, whether to smother a crying baby if doing so would save the entire village while a failure to do so would condemn everyone, baby included. For the overwhelming majority of people, it’s a draining choice. The emotional areas of the brain fight it out with the more utilitarian ones for an answer. In psychopaths, the battle is absent: They exhibit nonchalance in its most extreme form. Psychopaths, according to Hare, make up an estimated 1 percent of the male population; among women, they are almost nonexistent (though still present). That means that out of every 100 men you meet, one will be clinically diagnosable as a psychopath. But will he also be a born con man? On one level, the data seem to suggest a direct affinity between the two, grifter and psychopath developing hand in hand. One tantalizing piece of evidence: When people acquire the neural deficits associated with psychopathy later in life, they start behaving remarkably, well, psychopathically—and remarkably like con artists. In lesion studies, people who experienced early life lesions in the polar and ventromedial cortex—areas implicated in psychopathy—begin to show behaviors and personality changes that very closely mimic both psychopathy and the grift. Two such patients, for instance, showed a newfound tendency to lie, manipulate, and break the rules. Others described them as “lacking empathy, guilt, remorse, and fear, and … unconcerned with their behavioral transgressions.” Psychopathy, then, is a sort of biological predisposition that leads to many of the behaviors we expect from the confidence artist. Narcissism entails a sense of grandiosity, entitlement, self-enhancement, an overly inflated sense of worth, and manipulativeness. A narcissist will do what it takes to preserve his image—even if it means resorting to deception. And the types of deceptions he engages in will often look remarkably like con games: Think of most any impostor, someone who pretends to be other than he is, or many a Ponzi scheme operator, like Bernie Madoff, who fool in order to maintain a certain public persona. It certainly seems like a prime motivation. In the psychology literature, Machiavellian has come to mean a specific set of traits that allows one to manipulate others to accomplish one’s own objectives—almost a textbook definition of the con. Writing in 1969, Richard Calhoon, a marketing professor at the University of North Carolina, described the Machiavellian as someone who “employs aggressive, manipulative, exploiting, and devious moves in order to achieve personal and organizational objectives.” And, indeed, the so-called high Machs—people high on the Machiavellianism scale, a measure first developed in 1970 by two psychologists who wanted to capture leaders’ manipulative tendencies, Richard Christie and Florence Geis—tend to be among the most successful manipulators in society. In one series of studies, when a high Mach was placed in a situation with a low Mach, he tended to emerge ahead in most any scenario. The low Mach would let emotions get in the way. The high Mach, however, wouldn’t be as easily disturbed. In one early review, the Machiavellians among 11 distinct samples, including students, academic faculty, parents, children, athletes, the staff of a mental hospital, and business employees, were more likely to attempt to bluff, cheat, bargain, and ingratiate themselves with others. They were also more successful at doing so. In another study, the Machiavellian-minded among us made for more convincing liars than the rest: When people were taped while denying that they had stolen something (half were being honest, and half lying), those scoring higher on the Machiavellianism scale were believed significantly more than anyone else. In a third, business school students had to decide whether to pay someone a kickback, a behavior that is largely considered unethical (and is against the law). They were all given a rationale for why, in this case, the kickback made sense. Those who scored higher in Machiavellianism were more likely to take the bait when the rationale made it more cost-effective to do so. So wherein lies the truth: Is the con artist psychopath, narcissist, Machiavellian? A little bit of all? It is possible, it turns out, to possess all the tenets of the dark triad, and then some, and still not turn to con artistry. Psychopaths, narcissists, and Machs may be overrepresented in the grift, but they are also overrepresented in a number of other professions that line the legitimate world. As David Maurer, author of one of the earliest (and best) studies of con artists, The Big Con, puts it, “If confidence men operate outside the law, it must be remembered that they are not much further outside than many of our pillars of society who go under names less sinister.” Leadership and high-profile roles. Wall Street. Politics. Law. Test most any of them, and you’ll find a percentage of psychopaths and dark-triadists that makes Hare’s 1-percent estimate look naïvely low. When Shelby Hunt and Lawrence Chonko gave the Machiavellianism scale to 1,000 professional marketers, they found that over 10 percent scored in the highest possible range—and far, far above the population average. In other words, they were among the highest possessors of traits that hinged on manipulation and deception. And yet they engaged in a legitimate business. None of them were criminals. And while some would doubtless argue that I’ve just made my own point—what are politicians, lawyers, businessmen, admen, and marketers but thinly veiled con artists?—the truth is that real con artists aren’t simply born. They are, as is usually the case, made as well. As the popular saying among scientists goes: Genes load the gun; the environment pulls the trigger. The exact same traits could easily be put to use in more or less devious ways. The choice is not predetermined. And the presence of Machiavellianism or psychopathy or narcissism no more marks someone as a grifter than the presence of charisma or nonchalance. It would be easy, convenient to dismiss the con artist as someone wholly unlike us, someone who is pathological, someone into whom we could never turn—but it would also be wrong. The choice is there for each of us to make. Excerpted from The Confidence Game: Why We Fall for It … Every Time by Maria Konnikova, published by Viking, an imprint of Penguin Publishing Group, a division of Penguin Random House LLC. Copyright © 2016 by Maria Konnikova.